Back in September 2017 I launched my book "The Glorious Book of Curious Cocktails" on Kickstarter with both excitement and trepidation. Would I reach my target? Would the world think I was nuts? Would parents tut at me in the street for using words like bogies and farts in a children's book? 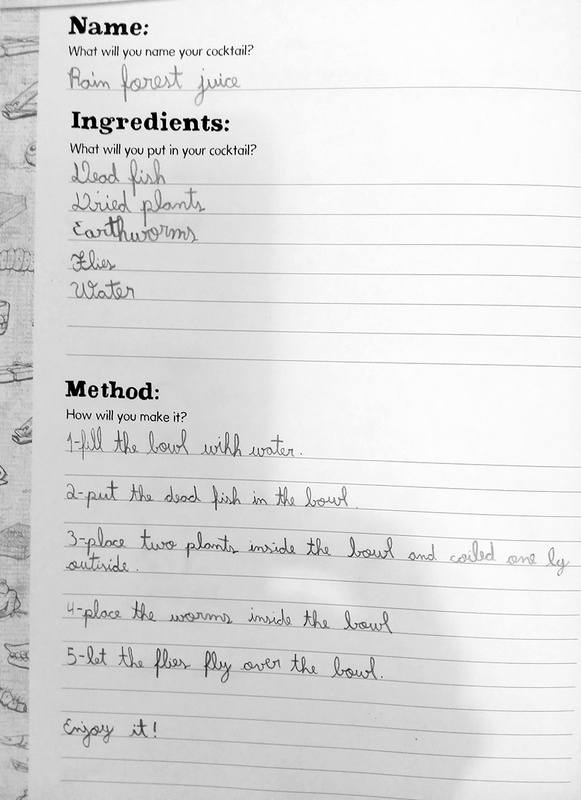 If you don't know about the origins of The Glorious Book of Curious Cocktails, you can read them here – but, to cut a long story short – the book is a silly book that encourages children to invent their own ridiculous recipes, teaching them literacy skills in the process. I was over the moon that, after months of work and marketing the book, I reached my target and was able to produce them as beautiful hard bound books, complete with activity books, stickers and posters. Albie, my son, was chuffed he'd get to see his name in print and that his mother would stop making him pose for ridiculous photos. We reached our target - yay! It's cockTAILS!! Thankfully, I was able to get some good coverage on FormFiftyFive, Typetoken, Sheffield newspapers and all the lovely people who follow me on twitter and shared the campaign (I'm forever grateful, thank you). I also managed to pull a few heartstrings with the fact that my Gran got on board, inventing her own cocktails and sending them to me in the post, aged 98. Eventually, I managed to get over my target on kickstarter (phew), and so then further hard work began – liasing with the printers and getting extra things made like stickers and posters, not to mention the shipping. Shipping the books out worldwide was no mean feat – I spent several hours packaging books and filling out forms in the post office. I got on first name terms with the staff at my local post office who shuck their head at the ridiculousness of me hand lettering so many packages and putting on stickers of eyeballs*, but it made them smile all the same. My studio floor turned into a sea of books, much to the annoyance of my studio buddies (who acted extremely graciously, keeping me stocked up on biscuits and making me cups of tea). *sorry if it was you that got that package, but it's worth way more than a signature. But of course it was Christmas so everyone was busy sorting gifts and buying sprouts. I wondered if people were disappointed with the outcome, if anyone had even opened my carefully packaged books. 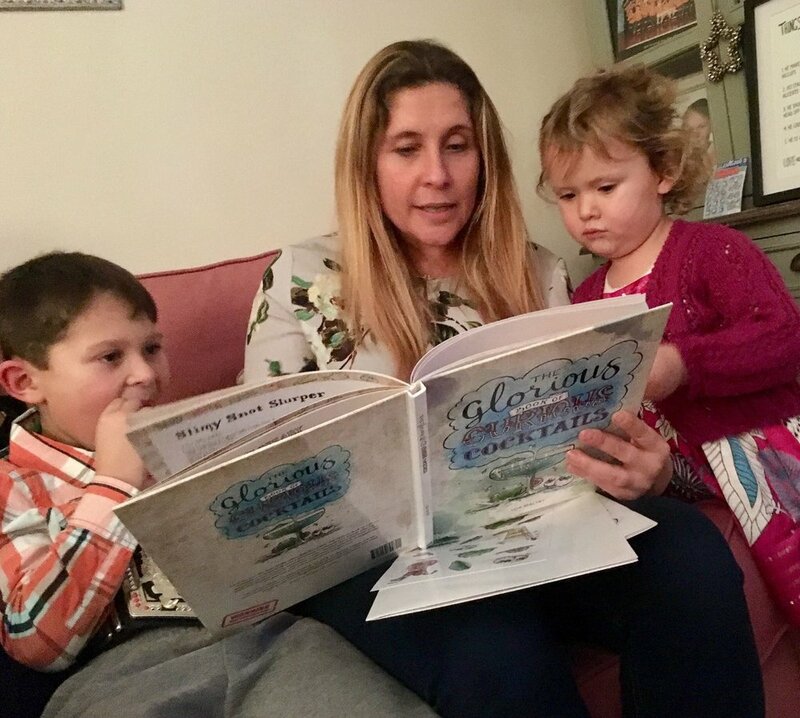 The winners of The Gloriously Curious Competition were: João Guimarães Carvalho Rivas, 9 years old, Henry Simpson, 8 years old and Mabel Folkes, 4 years old. Thank you so much to everyone who took part in the competition! 1. Make sure you've got a good product. Obvious, huh? But just becasue your mum thinks it's cool doesn't mean it actually is so get some feedback off a few people before you decide to do a Kickstarter. 2. Plan the campaign properly before you launch: research your audience, check out similar projects, look into costs, plan production. Make sure you've checked your project is actually feasible and can be produced well. 3. Start promoting your campaign a few weeks before you launch so you have built up a few potential backers ready for the launch - if you can get people to back the project early on it has more chance of success. Write to journalists, try and get coverage, get your friends and family to spread the word. 4. Make your Kickstarter video tell a story or show some personality. Give your audience something to buy into and follow - entertain them, be funny, heartwarming, clever... whatever goes well with your campaign. You don't have to spend hundreds on a fancy video, people just want to know your story. 5. Have a good range of rewards so people can back as much or as little as they want. It may help to do early bird rewards so that you get people backing your project early on. You can also add rewards later if you're getting a lot of requests for a certain type of reward. 6. You are your campaign. Don't rely on external marketing to promote your project. That said, targetted ads on Facebook worked well for me so I found it worth investing a few quid into that. I'd personally avoid any marketing companies with promises of large backers in exchange for all your marketing budget. Instead, invest time into researching groups, companies or people who will identify with your product and contact them directly. Use social media heavily. 7. You'll do really well in the first week of the campaign and then it will all go quiet, but don't lose heart. Stick to your strategy and keep promoting it, if it's a good enough idea there may be a surge of backers last minute. 8. Make sure you include postage costs in your overall target costs - I nearly discounted this thinking it would be added on to the final target, but you need to include this. 9. Kickstarter has to verify your bank details before you can launch, but then I found this extra 'verify' button I didn't even notice just before I wanted to launch my campaign. Thankfully it verified straight away but it can take up to 48 hours so just double check you've verified all possible criteria before you launch. 10. Keep your backers informed with updates throughout your campaign as they will be your main source of promotion, helping you share your project and drumming up support. Don't forget to continually thank people. Hope that helps. Thanks to everyone who supported my kickstarter!